With Collaborations taking on a different layout. All 3 types allow you to create threads and post replies with all manner of attachments - media and documentary references. 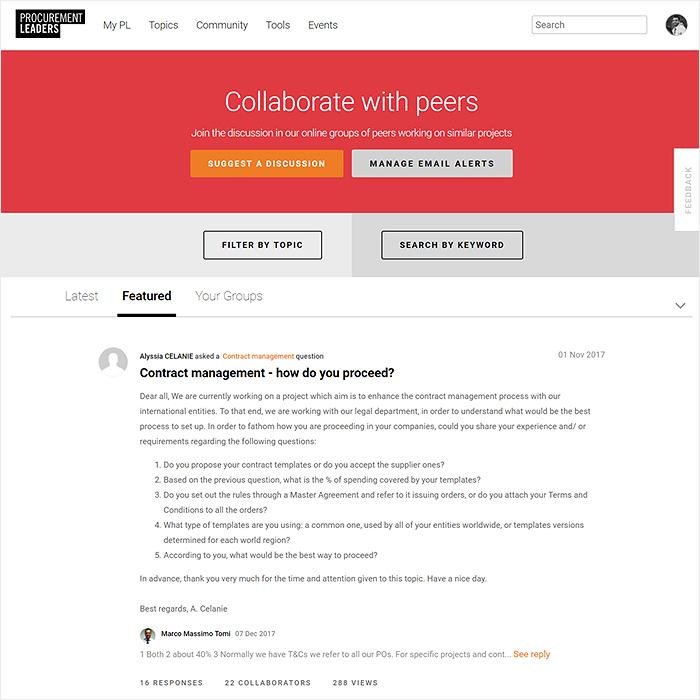 Issue Forums allow you to assign tasks to colleagues and collaborators, while Collaborations have more of a social angle - displaying clearly the number of collaborators, comments and references in use. Most sites use 3rd party systems for Forums and Collaboration - but within Affino, it is a seamless part of the same system - single login, single database etc. - making it much simpler for users to get involved and companies to manage - all is enabled by the same universal system of Affno security - which grants users access to different parts of the site, as well as different functions - such as the ability to post Forums and Collaborations. Users can collaborate, network and freely communicate all through the same unified secure solution. The integrated nature of the Forums and Collaborations in the most significant factor here in that it is all available through a single login. You can easily reference and relate those Forums and Threads to different content listings throughout your site - as Related Items. As all this activity occurs fully on-site and under your jurisdiction, you can properly manage and track all activities, and use Conversion Events to further prompt and incentitivise users, as well as to log exactly what activities they are engaging in such as answering other users' forum questions. There is a significant degree of versatility for covering the key types of use our customers have for Forums. 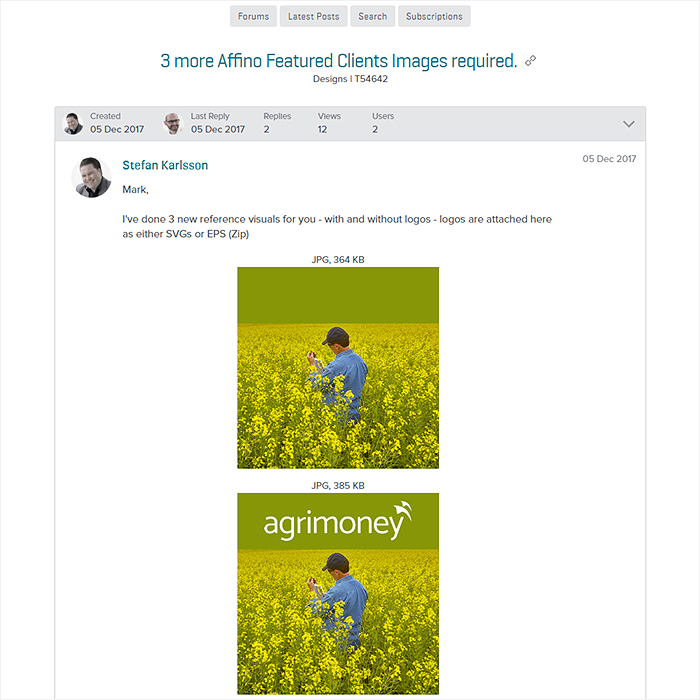 We ourselves use Affino Forums for Project Management, Client Support and Collaboration. Forums are an efficient and definitive means to record key client communications, and maintain an official record for posterity. For our own business they are an absolute essential - most of what we do goes through and / or is managed by Forums. Anyone can dip in at any stage to view a complete and accurate record of activities and actions taken. Unlike email where things can be hard to find - everything in Forums is properly indexed with date and contact stamps, as well as thread index references - for easy and instant retrieval using the advanced search. Instead of being peripheral utilities, Affino Forums tend to be front and centre. 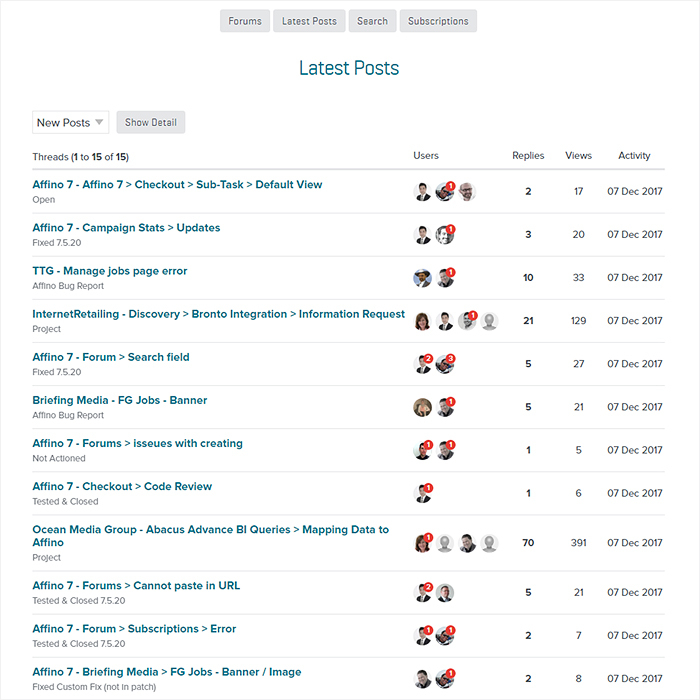 On most working days the Forums are the part of Affino.com that sees most of the active traffic. Several Affino Clients use this internally for internal project management and collaboration (sensitive), while Procurement Leaders are the leading proponent behind Collaborations. In most instances Collaborations and Forums are secured by logins and viewable only by registered or subscribed members on those sites.